The need for collecting relevant data sources, mining useful knowledge from different forms of data sources and promptly reacting to situation change is ever increasing. Active mining is a collection of activities each solving a part of this need, but collectively achieving the mining objective through the spiral effect of these interleaving three steps. 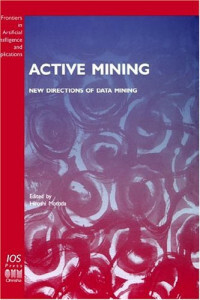 This book is a joint effort from leading and active researchers in Japan with a theme about active mining and a timely report on the forefront of data collection, user-centered mining and user interaction/reaction. It offers a contemporary overview of modern solutions with real-world applications, shares hard-learned experiences, and sheds light on future development of active mining. LEARNING CALCULUS JUST GOT A LOT EASIER!